Whether or not there will be a 2011 NFL season remains to be seen, with the current lockout and disagreement with the Collective Bargaining Agreement (CBA). 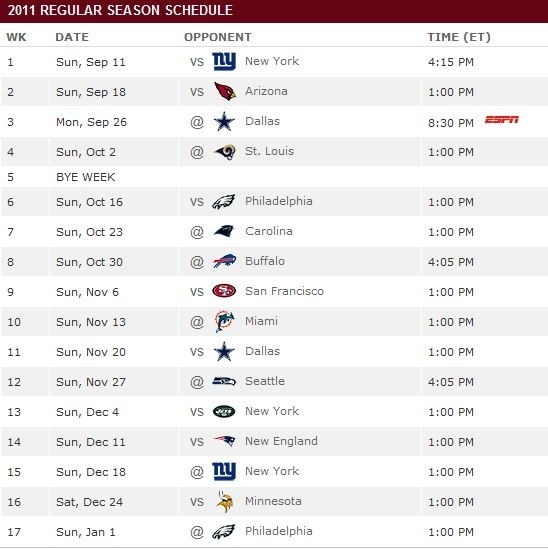 However, the NFL still went ahead and officially released the 2011 schedule for each team. 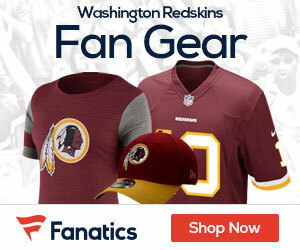 * For the third time in four years, the Redskins will start the season against the New York Giants at the Meadowlands, on Sunday, September 11th. 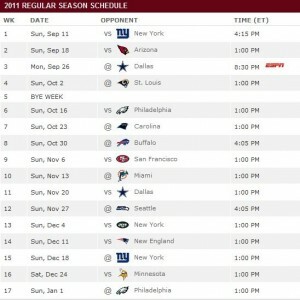 After playing the Arizona Cardinals at home – a team one season removed from a division championship and two years removed from a Super Bowl appearance – they will participate in their only appearance on national television in 2011: a Monday night match up against hated rival Dallas at Cowboys Stadium on Monday, September 26th. * The team will then get to spend almost the entire month of October playing on the road, as three of their four match ups that month will take place in opposing/different stadiums: at St. Louis, at Carolina, and then against Buffalo in a game which will take place at the Rogers Centre in Toronto (Canada).